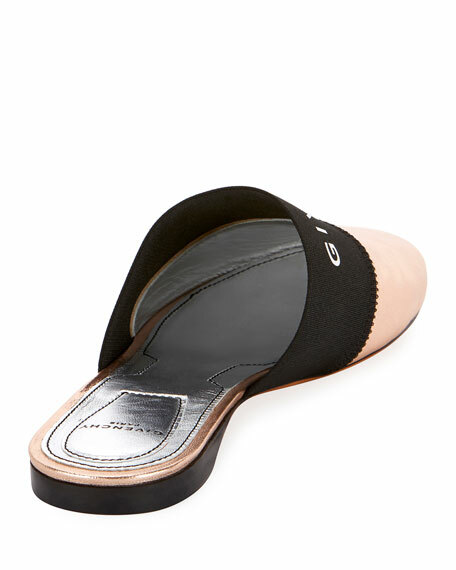 Givenchy "Bedford" leather mule with elastic logo trim. For in-store inquiries, use sku #2352409. Alepel hand-painted soft leather mules with lip-print detail. 0.5" stacked heel. Round toe. Notched vamp. Slide style. Cushioned footbed. Smooth outsole. Made in Brazil. 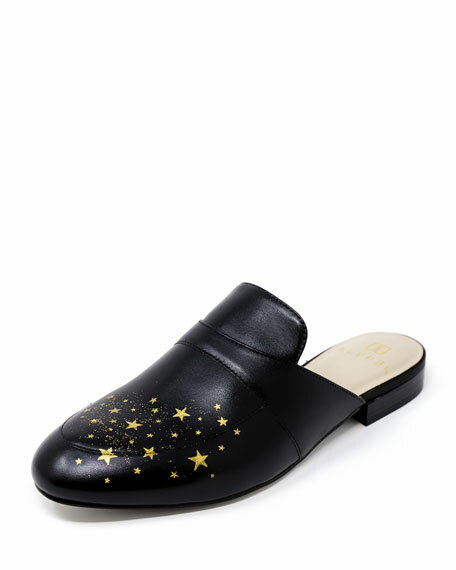 Alepel hand-painted soft leather mules in metallic star print. 0.5" stacked heel. Round toe. Notched vamp. Slide style. Cushioned footbed. Smooth outsole. Made in Brazil. 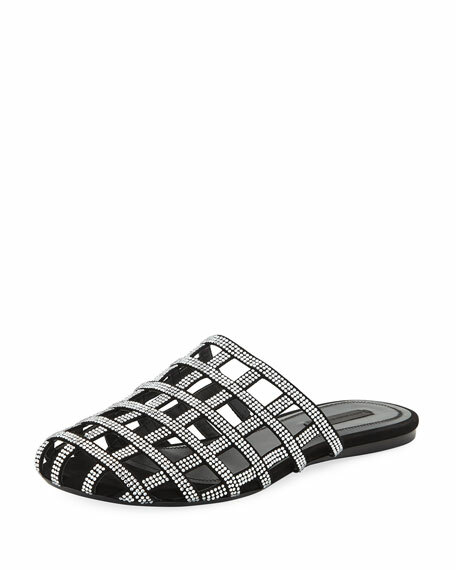 Alexander Wang suede sandal in crystal-studded design. 0.3" flat heel. Round toe. Caged vamp. Slide style. Leather lining and outsole. "Alison" is imported. 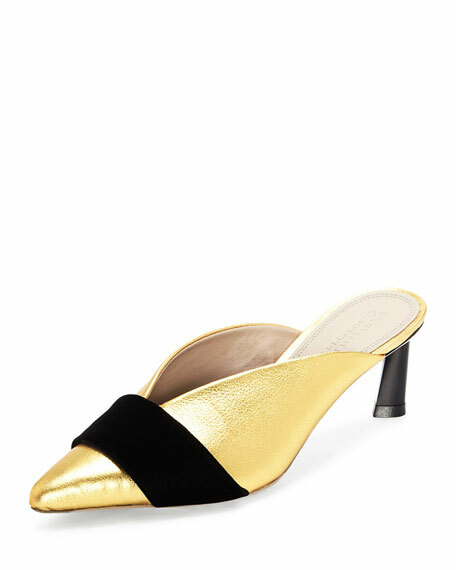 Mercedes Castillo metallic leather mules with half velvet bow. 2.4" covered heel. Pointed toe. V'd vamp. Slide style. Leather lining. Smooth outsole. "Okima" is made in Brazil.